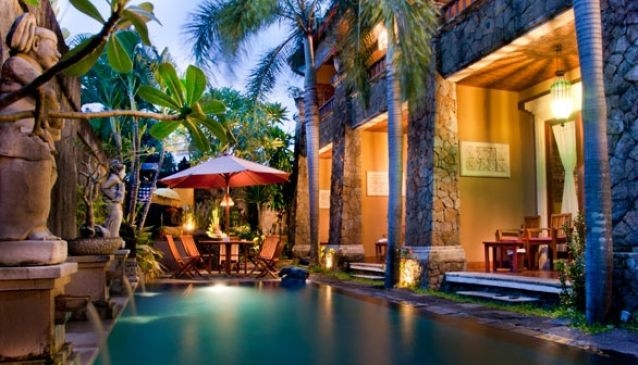 Puri Sindhu Mertha is a small guest house, with simple but rich architectural lines; the indigenous local materials and the exquisite fabrics, blend the sensual Balinese atmosphere with a high standard of modern western living. Puri Sindhu Mertha is a place of harmony where culture, art and hospitality blend perfectly to give you total comfort in quality accommodation. Located at Jalan Poso, Sanur village, where you can see the awesome sunrise of Sanur beach and the old Blanjong. IDR. 450.000/night including tax, service charge and daily breakfast for two people. Special Offer - Three days accommodation in standard room, daily breakfast for two people.